That sounds and looks wonderful for you, Cinder! When can you unlock them, do you know? 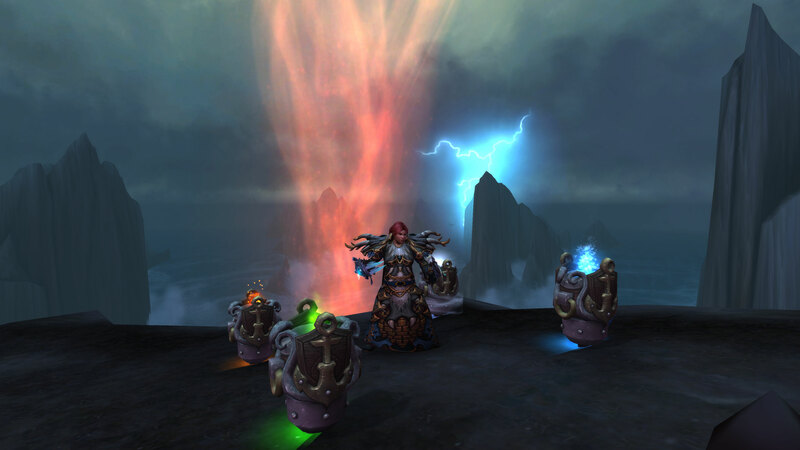 I believe the Kul’Tiran humans and the Zandalari Trolls will be available in 8.1.5. But not sure when that is due to come out. Still a few months away yet, I would think. I’ll be patient! I’d rather they get things right than get them out fast. Honestly considering making a shaman too. Will definitely make a druid. Their forms are just too great, but shaman is second on my list for them. Oh my gosh the Kul’Tiran druid forms look SO great! My plan was to make my druid KT but then when I found out about the shamans, it was a no brainer for me to change my main to one instead. I hope you love your druid when you make it! Looks like fun, lets do it! 😀 I can’t wait!!! Are you planning on making any Kul’Tirans? She looks amazing! I’ve been planning to make a Kul Tiran Mage, but I think I’m going to need to make a Kul Tiran Shaman, too.